Many of our patients are concerned about cognitive function, and there is evidence that people with recurrent episodes of depression may be at higher risk of cognitive decline. But what can be done about this? 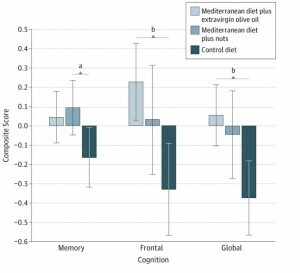 A just published study in JAMA Internal Medicine suggests that a Mediterranean diet enhanced with either olive oil or nuts may prevent and perhaps even reverse cognitive decline. In the study, 447 people were randomized to one of three diets: a low-fat diet, a Mediterranean diet with the addition of 1 L per week or 5 tablespoons per day of olive oil, and Mediterranean diet with the addition of 1 ounce per day of mixed nuts (1/2 ounce per day of walnuts and a quarter ounce per day of both hazelnuts and almonds). The results showed that there was cognitive decline in those on the low-fat diet where is in both of the Mediterranean diets there was actually mild improvement, although in different domains. The group receiving nuts had greater improvement on memory and the group receiving olive oil had greater improvement on frontal cognitive function. 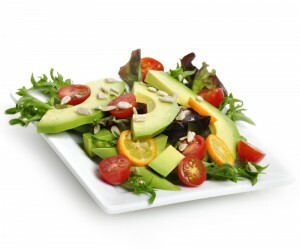 These small differences were not as important as the large difference between both groups and the low-fat diet group. This study looked at people who did not already have evidence of cognitive decline, but the magnitude of the changes seen in the study are similar to the effects of medications like donepezil (Aricept) in clinical studies of people who already have early symptoms of dementia. Overall the effect of the Mediterranean diet plus all of oil was greater then the effect of the Mediterranean diet plus nuts. See the illustration in the figure to the right. Valls-Pedret C, Sala-Vila A, Serra-Mir M, et al. 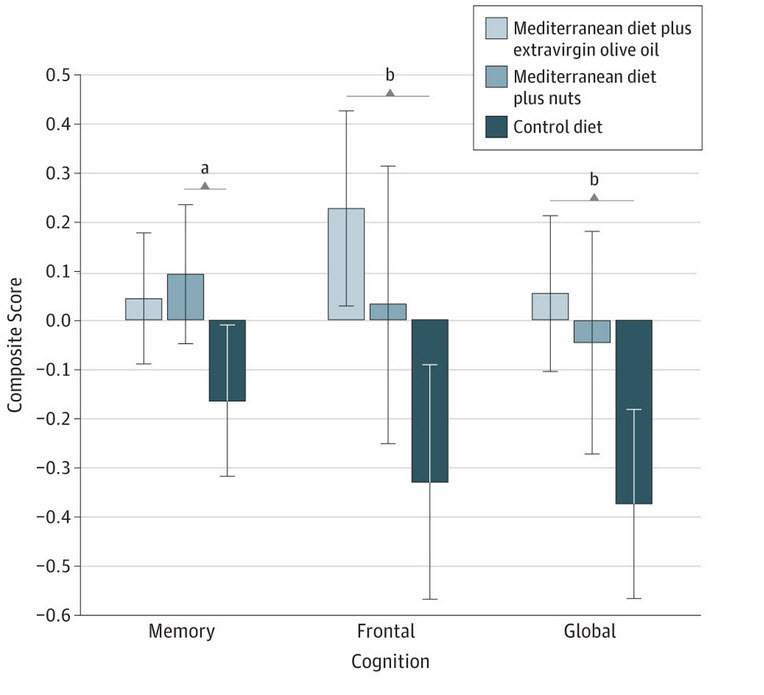 Mediterranean Diet and Age-Related Cognitive Decline: A Randomized Clinical Trial. JAMA Intern Med. Published online May 11, 2015. doi:10.1001/jamainternmed.2015.1668.